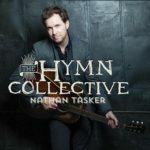 I love the hymns and there are times when I want the mix to be simple and understated. Thank you Nathan Tasker for releasing such a disk. “How Firm A Foundation,” “Be Thou My Vision,” (a fave) and “All Creatures of Our God and King” are just a few of the songs here. Sometimes it just Nate and his guitar. Works for me. I’m glad I picked this one up during Nate’s tour stop with Michael W. Smith. I had Nathan at my church a couple of years ago and did an unplugged music video with him. Great guy. This entry was posted on Sunday, March 18th, 2018 at 12:49 pm and is filed under CD Reviews . You can follow any responses to this entry through the RSS 2.0 feed. Both comments and pings are currently closed.